How would you feel if your entire life was summed up by a single number? A suicide statistic. 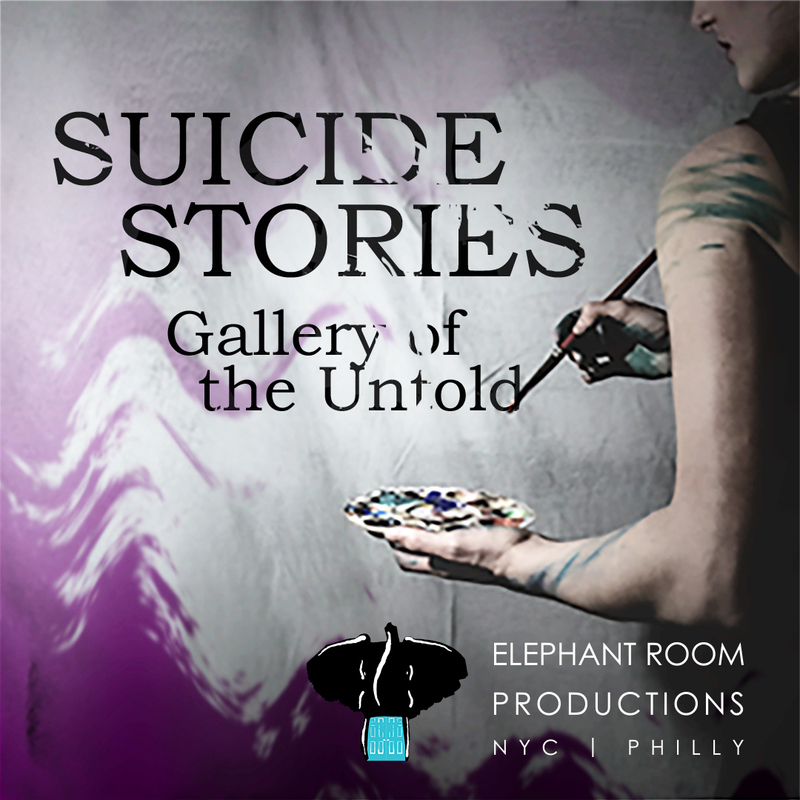 Elephant Room Productions presents Suicide Stories: Gallery of the Untold, an exhibit of living art that allows patrons to explore the stories behind the numbers. This exhibit will be open for two hours and allow patrons to travel throughout the gallery as they please. Featuring installations written by Daryl Banner, Kevin White, Bridget Mundy, Dano Madden, Kat Wilson, David Meyers, Brittany Brewer, Christopher G. Ulloth and Brian Grace-Duff, this multidisciplinary production utilizes a wide range of art mediums including paint, theatre, poetry, charcoal, music and more! Suicide Stories: Gallery of the Untold is featured as a part of the Philadelphia Fringe Festival and opens September 12th at 6pm at the Asian Arts Initiative at 1219 Vine Street, Philadelphia, PA. The show times include evening performances on September 12th through the 16th at 6pm & 8:30pm at $20 per ticket, afternoon performances on September 16th & 17th at 2pm at $15 per ticket and an additional 6pm showing at $20 per ticket on September 17th. You are not just a number; neither were they. Join us. Hear them. Help break the silence.